WRMC has well over 200 student DJs each semester, but we also have a few faculty members in our ranks. Among the few and the proud, Bradley Gardener, a teaching fellow in the Geography Department, (known to his listeners as Dr. BG Cooper) hosts the hip-hop radio show The Other Side of Time every week on Tuesday nights. Whether he’s freestyling on air or spinning some choice vinyl Gardener brings a unique energy to the WRMC airwaves, so we reached out to learn some more about what makes the Other Side of Time host tick. WRMC: What’s the theme of your show? BG: Linking together what is now to what already happened. The music is more than words and sounds. It is an important part of social history. It’s really interesting to make these connections between different genres/places/historical periods. WRMC: Are you actually a doctor? BG: Well… I have a Phd if that counts. The Cooper in my name comes from Bradley Cooper (Bradley is my first name, B.G. are my initials) and D.B. Cooper, a man who once robbed a bank, hijacked an airplane, and parachuted out with the money! WRMC: What do you do at Midd and in your free time? BG: I still have many connections in New York City (where I lived from 2006-2015), so I spend many of my weekends there. At Midd, I spend a lot of time working on the classes I teach in the geography department. One of the courses I am teaching this semester, Critical GIS, is especially fun. We coded and mapped Instagram posts in Williamsburg, Brooklyn last week. I also go the gym frequently, do yoga, hike, and play basketball. WRMC: Who are Dr. BG Cooper’s all-star artists? WRMC: How does your experience DJing with WRMC differ from your past college radio experience? BG: I was a DJ from 2001-2004 at SUNY Binghamton. I belonged to the heritage department and all of the Hop Hop DJs almost exclusively used vinyl. This is the early years of file sharing, so obviously, things have changed immensely. I think this station is much more organized, the community around it is better, and finally, the equipment is much nicer. WRMC: What’s the most played song in your iTunes library and why? BG: Apparently, it’s “Silverado” from the Action Bronson mixtape, Blue Chips 2. I refer to 2012-2015 as the Action Bronson era in my life. I am excited to see what comes next. 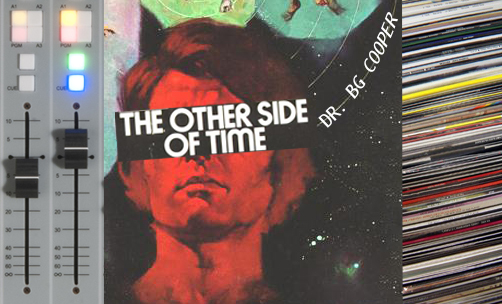 You can tune in to The Other Side of Time: with Dr. BG Cooper every Tuesday night/Wednesday morning 12:30-1:30am on WRMC.